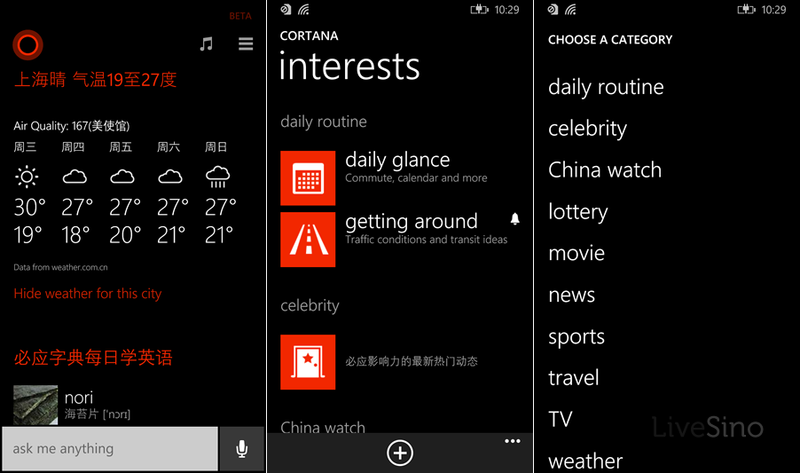 Today I noticed some changes to Cortana on Windows Phone 8.1. 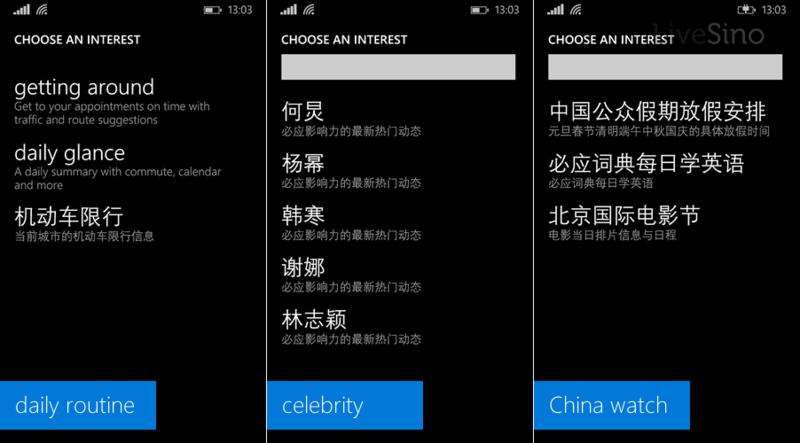 Microsoft has quietly pushed China specific features and contents to Chinese users, though Cortana is still only available when the phone is set to US(region, speech and language). Daily Routine: Beijing driving curbs schedule. Celebrity: celebrities news and social activities which is provided by Bing Score, a rank service developed by Bing China. China Watch: public holidays schedule, Bing Dictionary “Word of the Day” and the Beijing Movie Festival schedule. Lottery: lottery drawing date and results. Movies and TV: top movies and TV in some categories from Youku. Weather: temperature in Celsius and air pollution index. 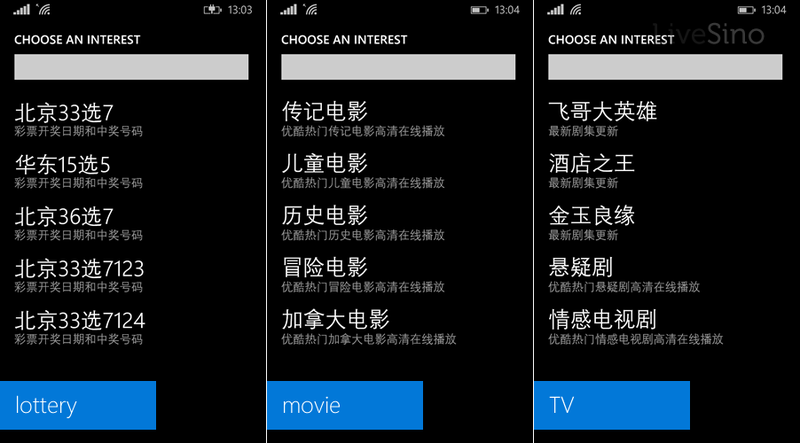 At the moment, Cortana is not available in Chinese language. But we all know that Cortana will support China and UK in the second half of this year, and more English speaking regions are in the plans. It is certain that Microsoft is actively working on region specific Cortana features. What features would you like to see in Cortana? – Cortana UserVoice is always a good place to share your idea and suggestions.